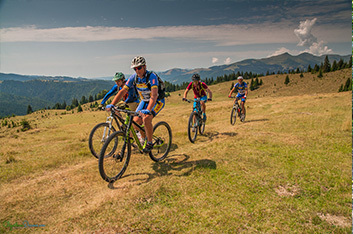 Transcarpathian MTB Raid is the first mountain bike raid held in the Romanian Carpathians. The objective is to make an epic adventure of 5 days through one of the most unique and wild areas of Europe. 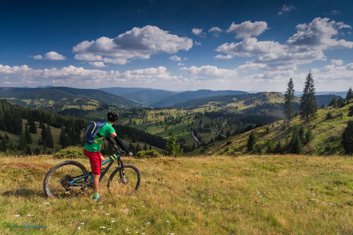 From Borgo pass where the legend of Dracula was born, we will pedal towards the Rodnei Mountains National Park, to arrive next to Bucovina, another historical region of Romania. Here we will immerse ourselves in its unique culture surrounded by fairy tale landscapes and enjoying its rich gastronomy. 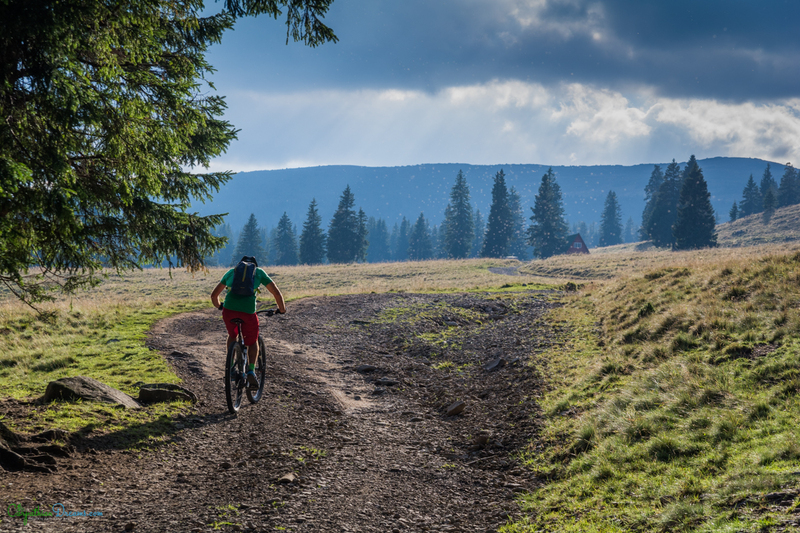 From Bucovina we will return to the land of Dracula, following the route of the Mary Theresa road – the Austrian Empire queen, crossing the Calimani National Park, one of the wildest and least populated extensions of Europe where we will definitely enter a journey into the past. Inspired by one of our tourist trips with the addition of the competitive format and the expansion of the number of participants. 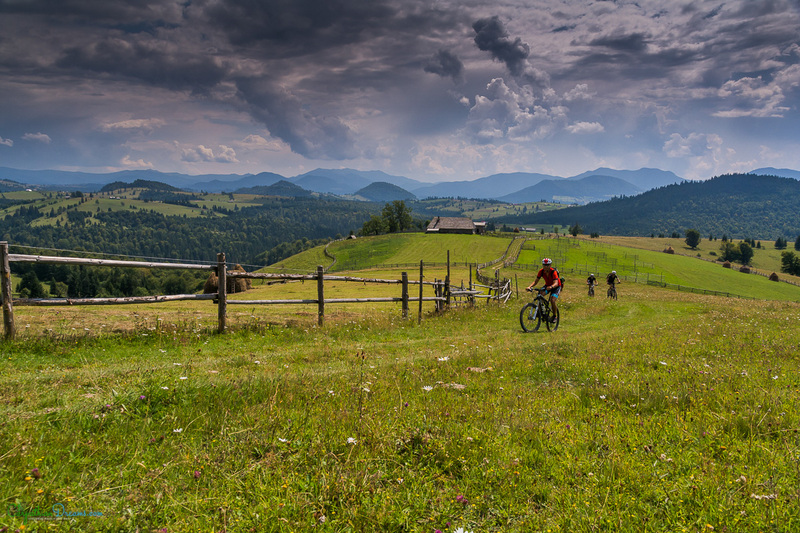 The Transcarpathian MTB Raid is a test of 5 stages of resistance with a playful and tourist character that allows us to fully enjoy one of the wildest and most exotic areas of Europe. For this, the timed sections will not exceed 25% of the total mileage. The link sections, we will do them in groups accompanied by local guides that will offer us an immersive experience in the purest Carpathian Dreams style. 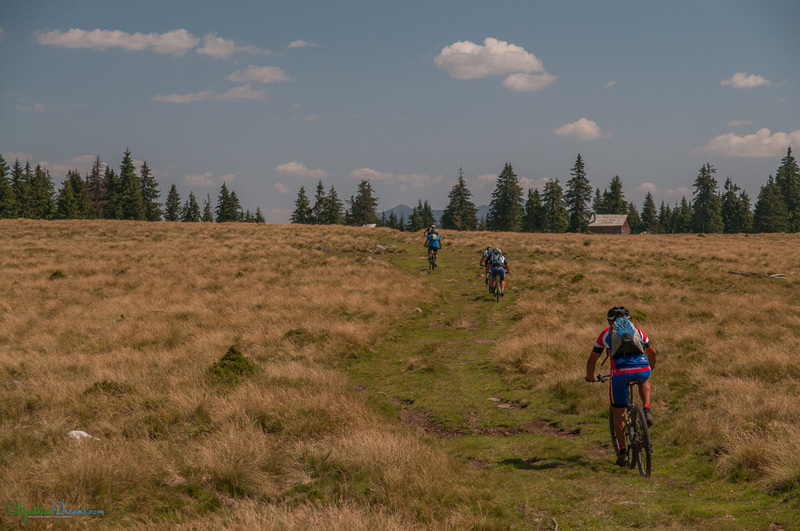 We will be 50 bikers who will live an epic adventure, which goes beyond bike tours, enjoying after the stages of cultural experiences, traditional accommodations and a rich cuisine that can only be found in the Carpathians. Only the most complete biker will wear the Total Biker 2020 maillot for a year, for this he will have to accumulate the maximum points in the 6 tests he will face during the race, the most important being the vote for the best partner. 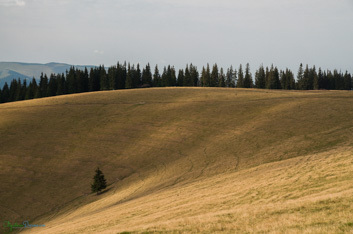 The prize will be to return to the Carpathians next season to contest the 2020 edition. Arrival day of the participants at the 1st meeting point, located in a hotel in the city of Cluj. We will have a private airport / hotel transfer service. Depending on the time of arrival of the participants we will make groups for guided tours of the city. The bikes will be picked up in a truck that will take them to the starting point of the test where they will be guarded. ➥ Day 1 : August 19th – Transfer to Borgo Pass, starting point of the race. After breakfast we will take a bus with which we will cross Transylvania to reach the Carpathian Mountains. We will eat around the Colibita Lake before reaching our destination. 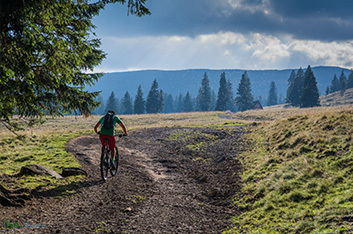 After settling in at the Dracula Castle hotel, we will pick up the numbers and we will assemble our bikes that have been transported by truck from the airport. Start of the race. The first stage will take us on beautiful rolling hills, passing through blooming meadows and lost in time mountain villages. 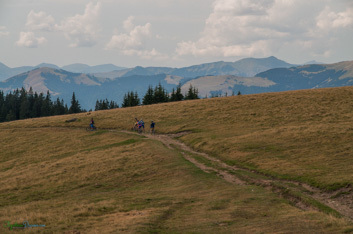 We will spend the day at around 1000 m in altitude, enjoying the surrounding views over the higher Carpathians. The final descent will take us to a picturesque mountain village, where we will spend the night and where we will have the chance to experience local specialties made out of homegrown, organic ingredients. Included services: breakfast, sandwiches for lunch, dinner, guiding, accommodation, transfer of main luggage. 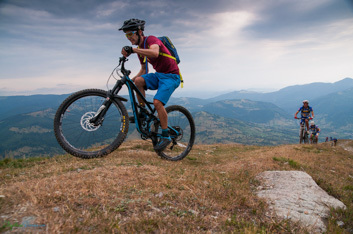 The second day of riding will also be one of the most demanding. 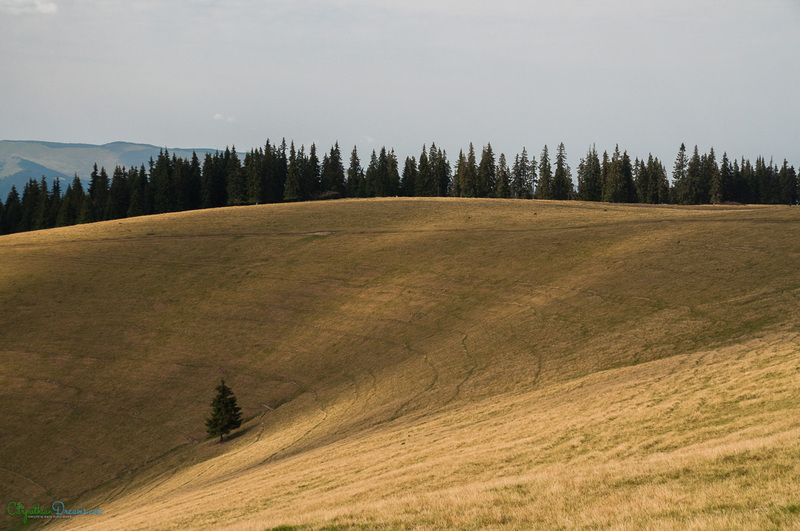 We will actually pass the Carpathians, from Transylvania To Bucovina, another historical region of Romania. After a series of uphills and downhills we will reach Ciocanesti village, an open air living museum.Included services: breakfast, sandwiches for lunch, dinner, guiding, accommodation, transfer of main luggage. Today, we will have to climb over three mountains before reaching our destination in the idilique Dorna valley. Although the stunning views are the highlights of the day, the reward after the intense effort will be the rich dinner made out ingredients produced by our host.Included services: breakfast, sandwiches for lunch, dinner, guiding, accommodation, transfer of main luggage. Our forth day will be more like a relaxation day. We will spend the day in the region of the Dorna valley, a picturesque area of Bucovina. Included services: breakfast, food supplies in the race, dinner, guiding, accommodation. 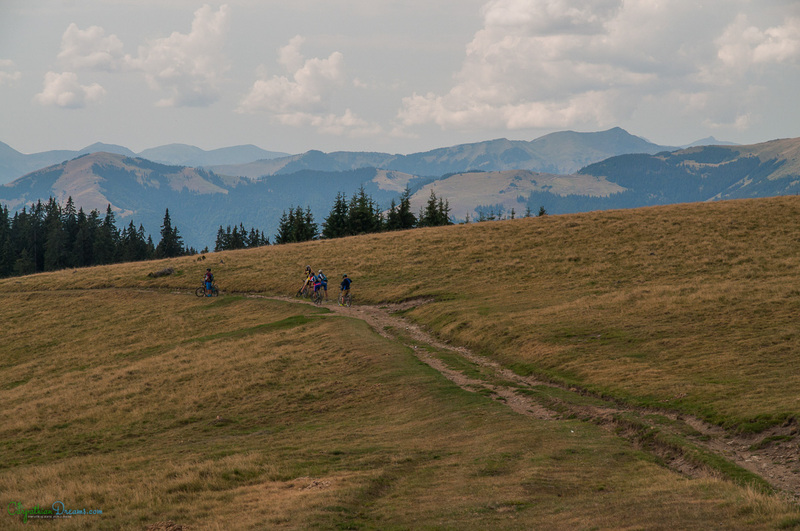 ➥ Day 6: August 24th – Calimani Mountains – End of the race. 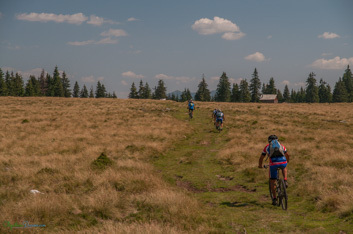 Included services: breakfast, food supplies in the race, dinner, guiding, accommodation, transfer of main luggage..
➥ Day 7: August 25th – Transfer to Cluj. We will transfer you back to Cluj Napoca. Depending on our flight, you will be dropped off either directly at the airport (after 1 PM – local time), either to the hotel. Included: Breakfast at Hotel Castle Dracula, Transfers, Hotel accommodation in Cluj. 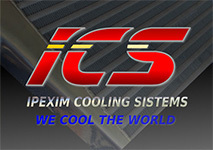 Subscribe to our Newsletter and be the first to receive all the information and promotional discounts. ➥ Is this a stage race or a multi day tour? Transcarpathian MTB Raid is not a regular stage race, but also not a typical multi day-tour. It is more like a combination of this two. 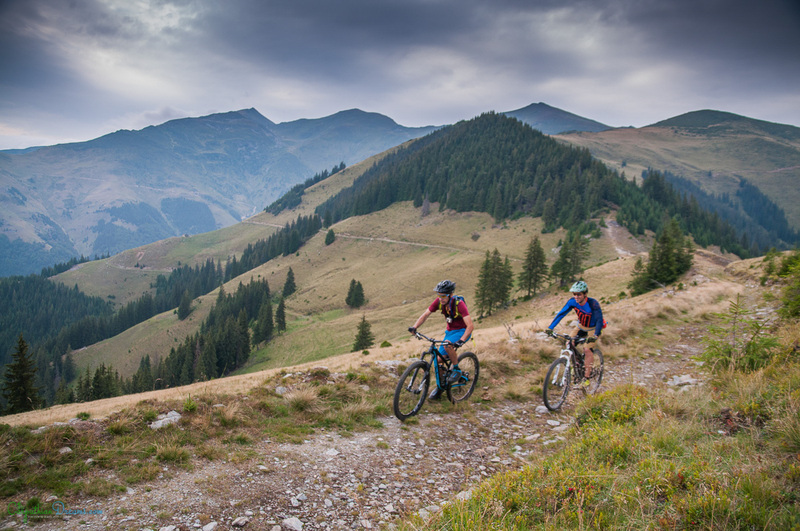 During each of the 5 days of riding there will be some specific sections under timing, mainly uphill. ➥ What physical and technical level do I need to participate? 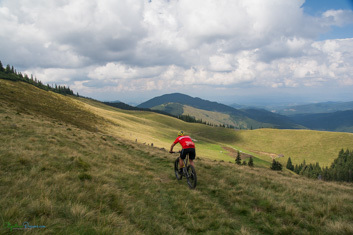 The Transcarpathian is designated for amateurs riders. Obviously you have to be prepared and ride regularly before the race. According to our classification, the event has a fitness level 4 and a skills level 3. Remember that you will sleep every night in comfortable beds and there will be mechanical and massage services after each stage. So why not accept the challenge! ➥ Can I participate without competing? Yes, participants can participate without fighting the clock. We will establish a maximum time limit for each section. ➥ What happens if arrive after the time limit? There will always be a bike guide which will close each stage. Also a support van will assist the group when possible or in the nearest points, in case some participant can not continue by bike. 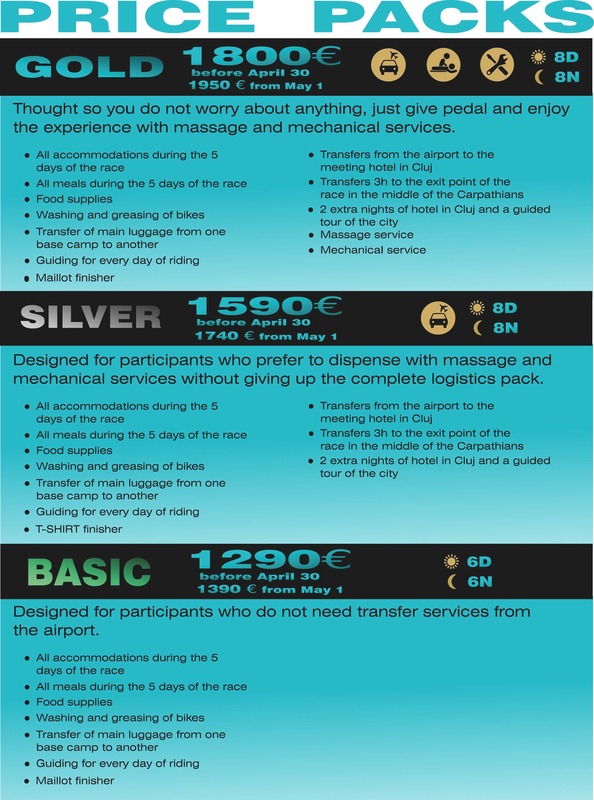 ➥ Will there be a transfer service at the beginning and end of the race? The starting point of the event will be at the Hotel Castel Dracula in Tihuta pass. Participants who wish may present themselves directly at the hotel. ➥ How do I have to carry my luggage? The baggage for the event must enter a suitcase of maximum 50L and 12 kg of weight. If you need to carry more baggage for before or after the event you must leave it in the hotel lockers. ➥ How will the starting and finishing points be? All the stages will end in the hotel where the riders will stay, so they will have all the facilities in the hotel or in the surroundings (storage of bicycles, washing and maintenance of bicycles, technical assistance, luggage claim point, massage service). ➥ Will there be Wi-Fi in the accommodations? All accommodations have Wi-Fi internet access. ➥ What accommodation options are there for after the race is over? After finishing the raid we will have a party and a night in the last accommodation included. The transfer to Cluj will take place the next morning. The participants who choose the Gold and Silver pack will have one night of accommodation in Cluj. If you want to continue your holidays you can consult us and we will advise you. 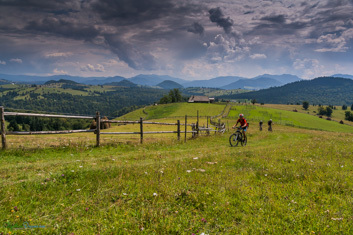 ➥ What is the minimum age to participate in Tanscarpathian Raid? 18 years old before the start of the test. ➥ Are breakfast, lunch and dinner included in the registration fee? Breakfast, lunch during the test and dinner are included. ➥ Will they supply food for riders who require specific diets? Yes, you must fill in the specific section of the registration form. ➥ How will be the taking care of the bicycles during the event? The bicycles will be washed and dried, the chain will be lubricated and the brakes checked at the end of each stage by the mechanics service of the organization. 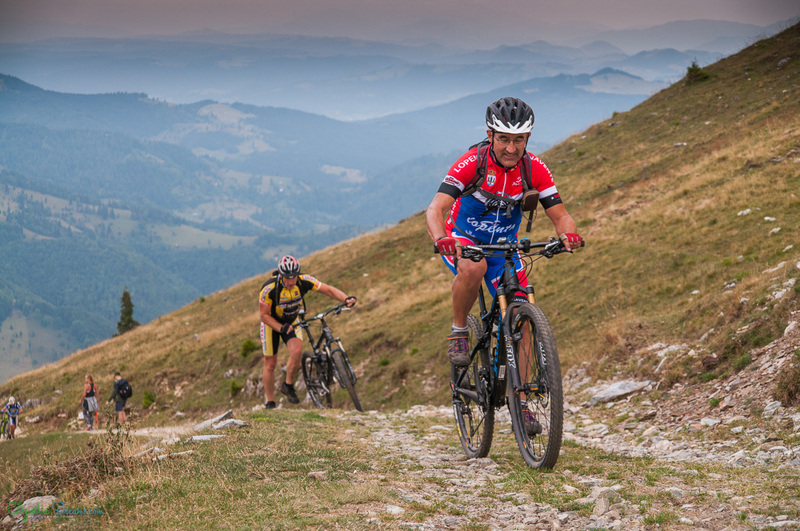 We will have a closed bicycle parking, to deliver the bicycle you must show the identification bracelet with your bib number that must match that of the bicycle. ➥ What mechanical assistance will be available during the event? We will have mechanical assistance in the service car. 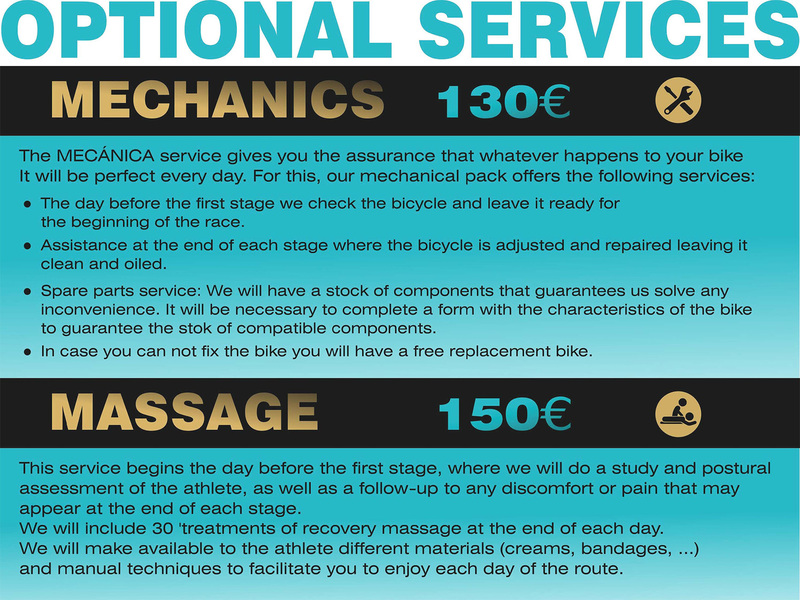 Mechanical assistance has no cost during the route, but if it requires spare parts, we will inform you of the price and you will have to make the payment directly in the mechanics zone once the stage is finished. ➥ What mechanical assistance will there be after the race? At the end of each stage all bikes will be washed and greased, participants who opt for the Golden Pack will have a preferential review and repair if necessary and will only have to pay the cost of the replaced parts. We will also have stock of spare parts necessary for these bikes. Participants who do not have the Golden Pack will have mechanical assistance at a cost of € 30 per hour and the supply of parts if there is stock. If there is no stock, we will manage a spare part order with our associated workshops, but we do not guarantee that the part will arrive on time for the next stage. We will also have replacement bikes. ➥ Will there be laundry service available? There will be laundry service available in most of the accommodations, but this service is not included in the registration. We have been selecting accommodations for many years that allow us to offer a quality standard in aspects such as traditional aesthetics, cultural exchange with the locals and the possibility of tasting local, organic products. ➥ Do I need health insurance? 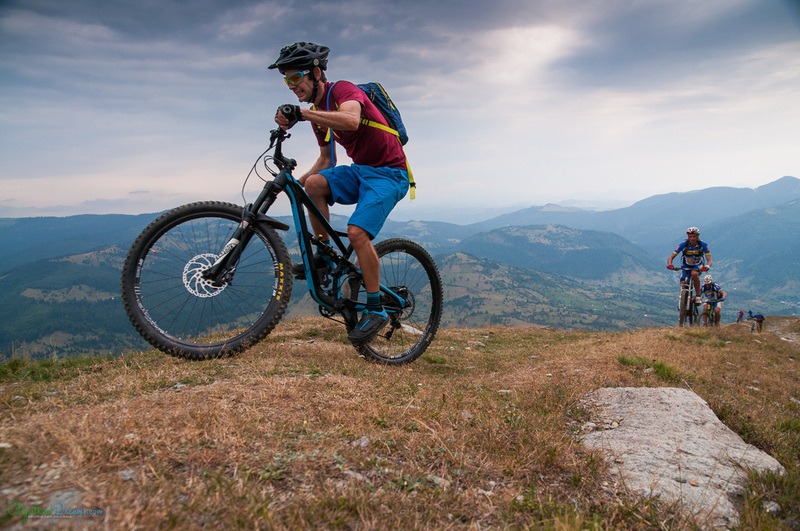 Yes, sports accident insurance is mandatory for all riders. And you must prove it when you register. In case of not having insurance we can make one with an extra cost. In the registration form you will have all the information. According to the safe ranking, Romania is ranked 24th out of 160 among the safest countries in the world, in front of many European countries. We must add that the city where we have flights is a medium-sized city that is very safe, most of the trip will be visiting areas rural calm and safe. ➥ How is health system in Romania? 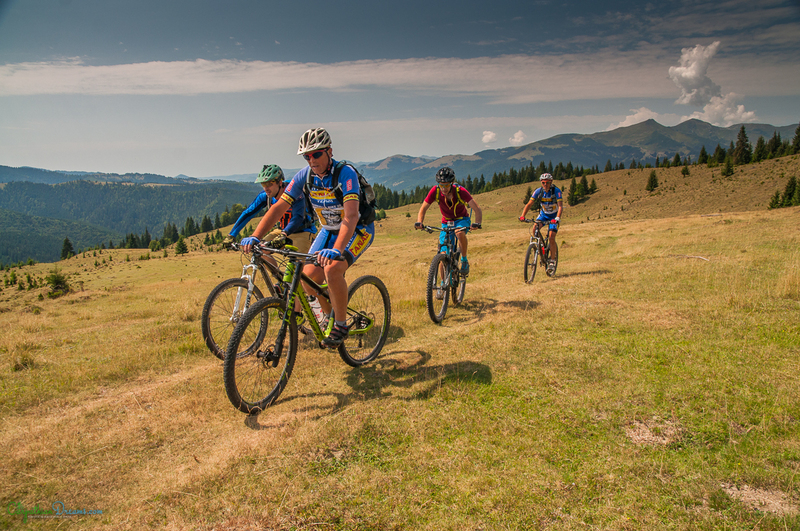 To participate in our trips it is mandatory to have an individual accident insurance, covers mountain biking activities and the costs of the necessary health care in case of an accident . You can claim a 75% refund until May 30, 2019. No refunds will be made after June 1st. ➥ Can I transfer the registration, if I have to cancel? Yes, you can transfer your registration to another rider. There will be no administration fee for this although the transfer of funds between the two parties for registration is not the responsibility of the organization. ➥ If I want to cancel or transfer my registration, what shall I do? 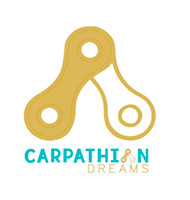 You must send an email to info@carpathiandreams.com before 24:00 UTC+2 on May 30th, 2019 to obtain a refund for which you will be charged a 25% administrative fee. In order to transfer the registration you must also contact us and we will have the new rider complete the online registration form. The transfer between private funds runs from your account. Si no conoces los Cárpatos, dejate sorpendrer, Wild Carpathia es una serie de televisión compuesta por 4 partes, que muestra la naturaleza intacta y la cultura rural de los Cárpatos, pero también las amenazas que la acechan. Puedes encontrar más información en el sitio oficial, junto con las otras partes de la serie.. http://www.wildcarpathia.tv/ Disfrutála! 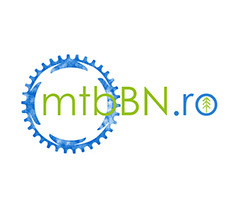 2019 is the first edition of the Transcarpathian MTB Raid, this test is organized by Carpathian Dreams together with the Sport Club Bike Experiences and MTB BN. 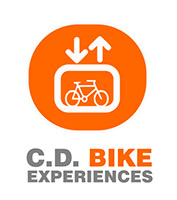 Although it is our first competitive stage race, we have extensive experience organizing guided tours and other sporting events. We work with the firm intention that this race becomes a reference of the tourist raids in stages. We believe in responsible tourism as a generator of short and long-term benefits in local communities that in turn have an impact on the care and protection of the natural environment. 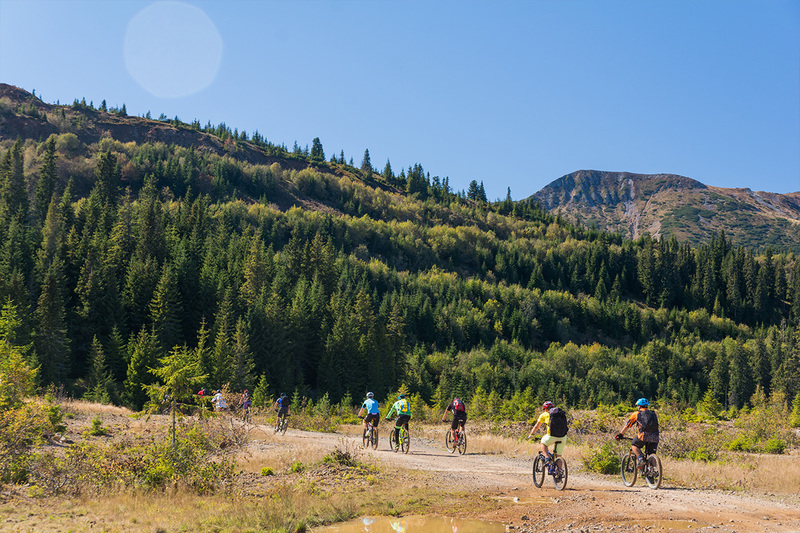 Our main objective is to continue to value this area of the Carpathians as a destination for responsible tourism. We invite you to join the Adventure!! Calin is an enthusiastic guide and speaks perfectly English. He was well informed and provided very good and detailed. He was very helpful for my stay in Bistrita. He gave me useful contacts and recommendations about activities in this area. See the original review on Tripadvisor. Mark, Munich – I had a long drive home but it was great to have the weekend to relax. Thank you to you all for making my trip so special. Tell us the selected pack and we will assign you a commercial agent who will send you an e-mail with the confirmation of availability and the instructions to make the reservation. 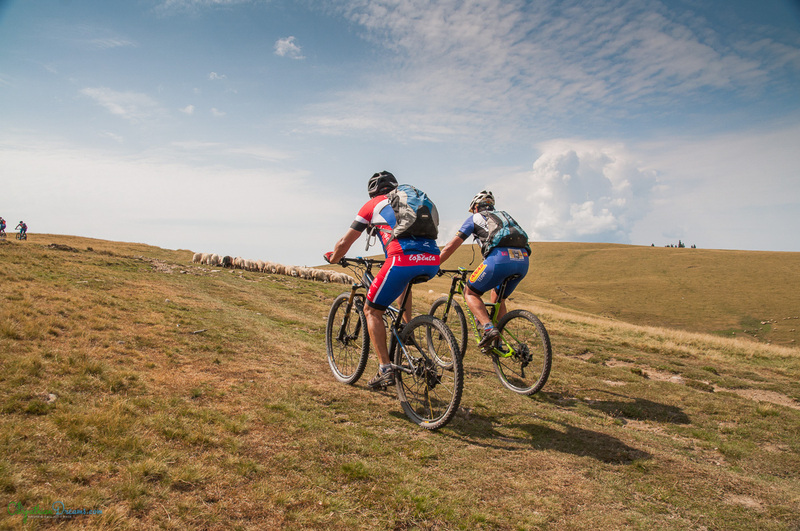 The amount pending to complete the total amount of the trip, must be paid 1 month before the start of the race by bank transfer.